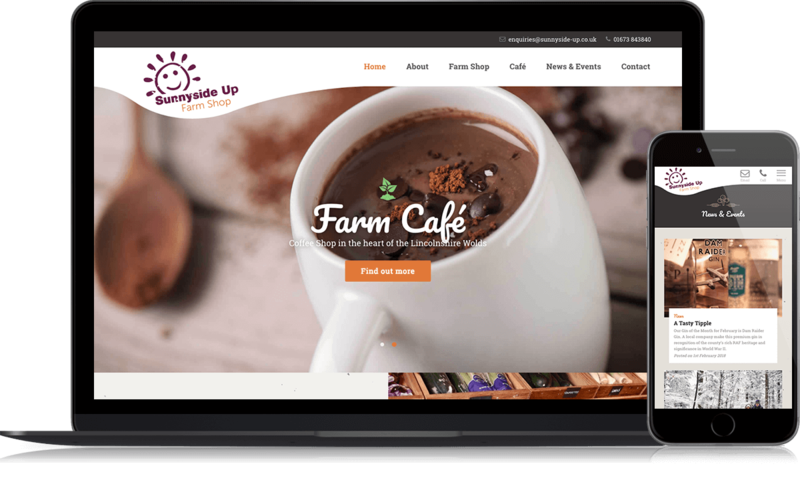 Sunnyside Up is family run farm who produce Award Winning Lincoln Red Beef and offer a Coffee Shop situated near Tealby on the edge of the Lincolnshire Wolds, offering a wide selection of delicious, ethically sourced food from small local produces. Sunnyside Up Farm Shop deserves to be shown off with great photography, so we made sure imagery was at the forefront of design. We designed the site with a clean layout that was simple for visitors to navigate and we produced a great, long-lasting solution.